As you can see, I might not have been doing much cooking recently, but I have been reading quite a lot. 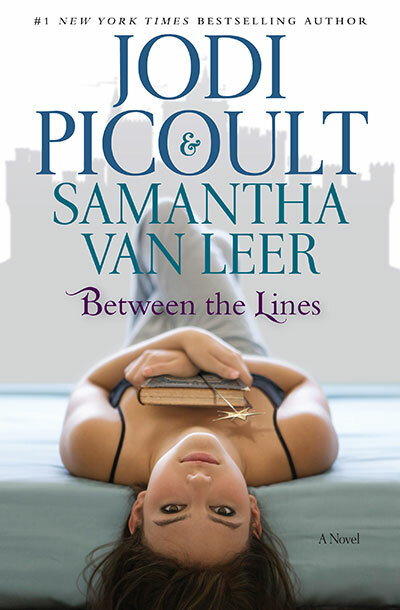 🙂 I just finished Between the Lines by Jodi Picoult and her daughter, Samantha Van Leer. I have to say, I thoroughly enjoyed this novel, and I was semi-relived to find out that it was not as intense and sad as Jodi Picoult’s usual novels. This book is based off an interesting concept: What if the characters in books live their own lives once the book is closed? It’s almost like Toy Story. When you aren’t around the toys, they come alive. It’s the same idea. Well, here is the kicker, what if one of the characters wanted to get out of the novel? That’s where this story begins. One of the characters within the story, Oliver, starts to communicate with a reader, Delilah, and they start to develop feelings for one another. The story follows their crazy adventure of trying to get Oliver out of the book. They come up with many different plans, but the book always restores itself. At one point, Delilah ends up in the story (I would freak out!). I enjoyed the way this book was set up too. Not only do we get to read the story through Delilah and Oliver’s point of view, but we also can read the fairy tale as is. It’s interesting how she portrays the characters that are stuck in the story. Nothing is as it seems, they act completely different in”real life” then they do in the book. it’s really like they are actors/actresses on set waiting to film a movie. Has anybody else read this? Oooo I think I will add this to my list of must read books! Thanks! You’re are going to have to let me know what you think! It’s really a nice and helpful piece of info. I am satisfied that you shared this useful info with us. Please keep us informed like this. Thank you for sharing.